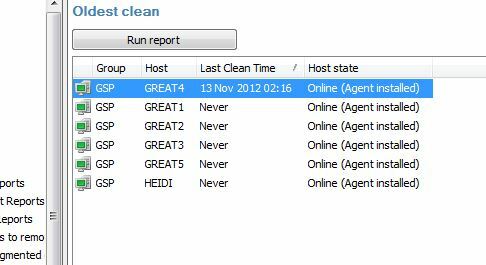 We have CCleaner Professional Network edition but it is not running when scheduling. Attached there is a screenshot of the schedule we currently have. We've tried different times/days but could never see it in the Report (attachment 2). I wasn't able to tell from the logs, seems to be contacting the main server but not running on schedule. Any ideas? help? You have, I believe, a support contract for this version of Ccleaner. You should contact your support manager.